Stay up to date with relevant education and career news from New Zealand and the world. This morning some of our team went to AUT for an information session on the undergraduates and postgraduates of hospitality, tourism and events at the Auckland City Campus. 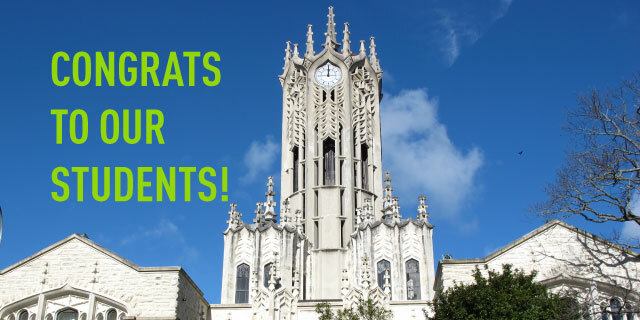 We learned impressive information about AUT’s world rankings at #35 in the subject area. AUT is also the only university who provides a Degree in Event Management in New Zealand. AUT allows students to have a real world experience. 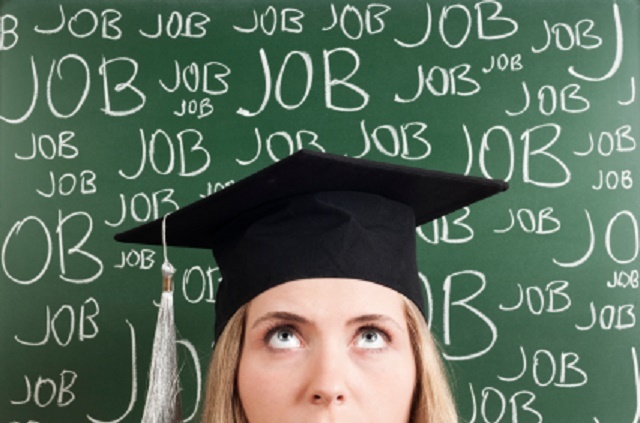 This insures that students can gain work experience while studying. Last week Wednesday we had a visit from Massey University (Tim and Djhoanna) to inform us about the programmes offered at the College of Humanities and Social Sciences and the College of Creative Arts. 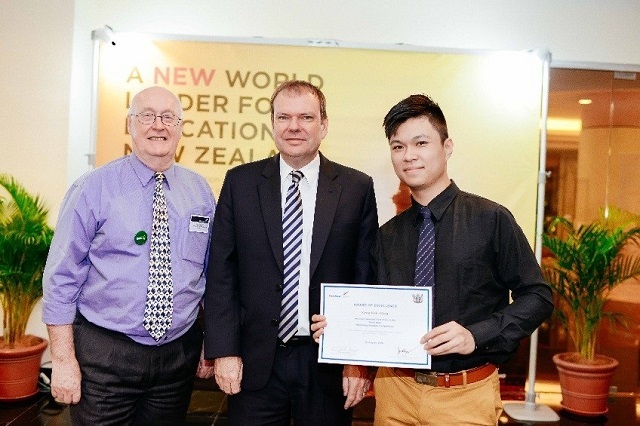 Massey University also has scholarship opportunity for international student each year too. Yesterday was the second day of the Chinese Spring Festival and Waitangi day in NZ. We organised a barbecue for the secondary students from the Love NZ Student Club in Mission Bay. David prepared food for the students. The students played games after BBQ. They all love throwing the water balloons around. At the end of the activity, some students got Lucky Gifts. Members of our marketing team visited the Auckland City Campus of AUT for the agent training to find out more about AUT’s English and Business programmes yesterday. May Wang, Regional Manager from AUT's International Student Centre, hosted the training and welcomed our team. Karen Rutherford and Sunki Min from AUT's International House introduced the GIE (Academic Preparation & University Entrance Programme) and other English programmes. Farnaaz Mohammed, Director of International Marketing & Recruitment from Faculty of Business, Economics and Law later introduced more development of business and law programmes. 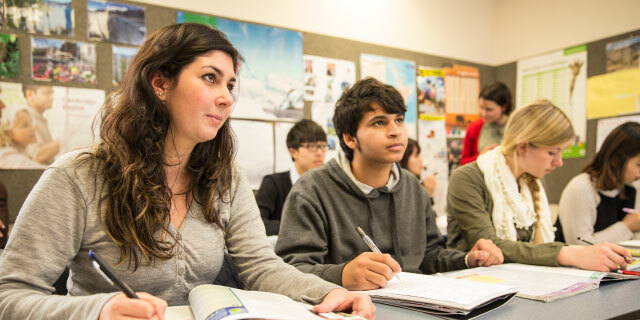 We are very confident that AUT can provide you with the best journey to success in NZ to study English and Business. Contact Chooses New Zealand now. Your future is in your hands! 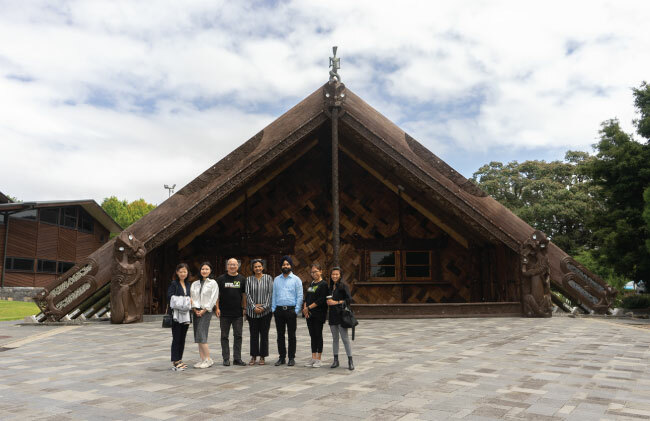 The Choose New Zealand marketing team went to Unitec Institute of Technology for a programme training and a campus tour. We learnt a lot about the service they provide and was impressed with their strong support for international students. Our team had so much fun exploring the Unitec Institute of Technology in Auckland. We also had free coffee from Farhana. On behalf of the Choose New Zealand, a big thank you to Unitec for inviting us. We are hosting the first study tour group from Xi’an China in 2019. 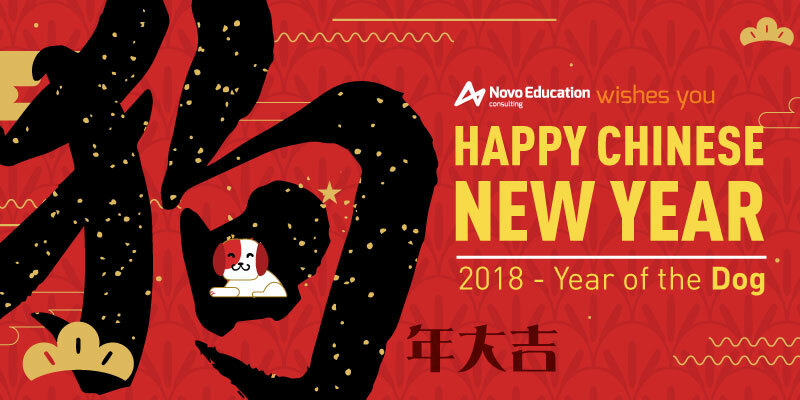 This is the 4th group from Intest Education who is one of our Choose New Zealand Service Centres in China and has cooperated with Novo since 2015. 18th Jan: We welcomed the group at the airport and gave them orientation in the morning at our office and we sent them home to different homestay families in the afternoon. 20th Jan, the group hiked up Mt Eden in showery weather and visited Auckland Zoo and Western Springs in the afternoon. The student's very enjoyed Chinese Dumplings lunch. 21st Jan: The group started their 2 week English study journey at Languages International. Afternoon Mission Bay. During 2 week time, we will arrange them to visit Taylors College, UoA and AUT Campus and have a formal Campus tour in Massey University. They will also visit Rotorua during the long weekend and have some other sightseeing in the Auckland region. Choose New Zealand, a leading brand helping international students and immigrants in New Zealand, opened its first Indian office in Kottayam, Kerala, on the 6th January 2019. Kottayam is the administrative capital of Kottayam district located in south-west Kerala. It is one of the main centres of literature and hence known as the "Land of Letters". Choose New Zealand Kottayam office will work closely with the Choose New Zealand head office in New Zealand to offer high-quality services to students and clients in Kottayam and nearby regions in Karela. During the opening ceremony, the office was officially inaugurated by Former Chief Minister of Kerala, Shri Ommen Chandy, through a ribbon cutting ceremony followed by the lighting of the lamp. Many people from neighbouring areas, as well as various community leaders and politicians of Kerala, gathered to witness the inauguration. The new office has been busy with handling enquiries from new clients since its opening. 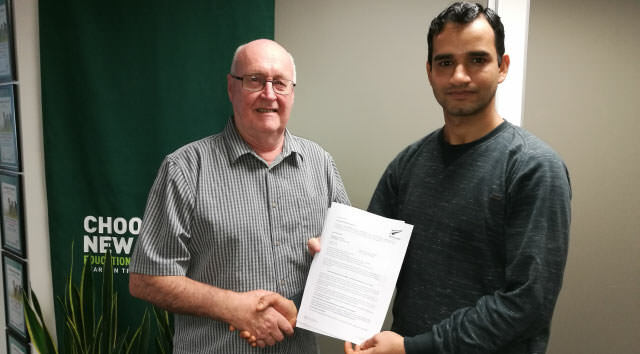 Rajin Kumar, General Manager of the Kottayam office, commented that he will work with his team to build their reputation for excellence among local clients who are seeking to realise their dreams in New Zealand. The Choose New Zealand Kottayam office is in Koshy’s Arcade on Good Shepherd Street, near the famous DC Books. It opens from 9 am to 6 pm, Monday to Friday and 9 am to 2 pm on Saturday. 2018 student results are out now. We are so proud of our High School and Foundation program graduates of 2018. We are pleased to share our success rate was 100% for NCEA and 92% for EU and University direct related Bridge Program from last year. We are also honoured to announce that three of our student have been offered a university scholarship. One Otago University scholarship for Bachelor of Science (Health Science First Year). Two Massey University scholarship for Bachelor of Creative Media Production. Novo Education and Choose New Zealand is overwhelmed with joy of the results. We will continue to help our student strive for success in 2019. Novo Education and PSI End of 2018 function. Novo Education and PSI Tutoring had an awesome end of year function before the holidays. We had amazing food and drinks, along with fun prizes for the team. Here we share our experience with you all. Hope you've had an excellent 2018. Wish you an even better 2019. 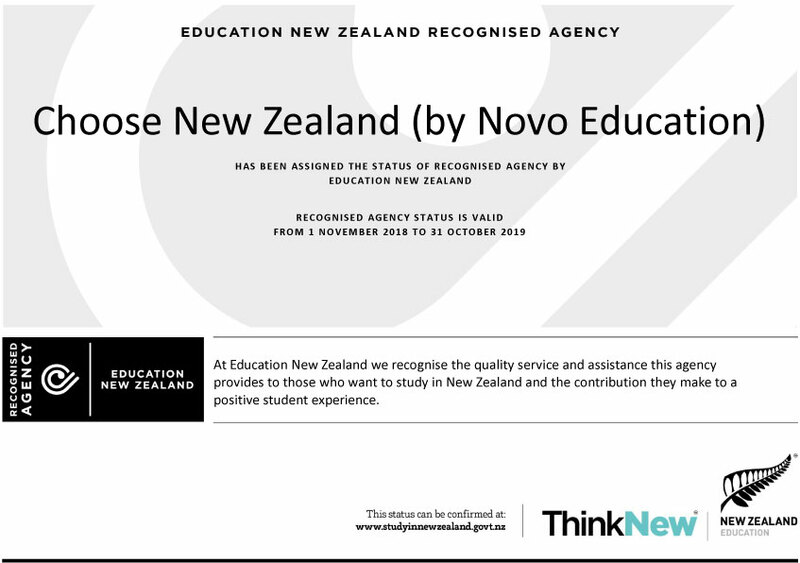 It is our honour to announce that Choose New Zealand (Novo Education) has been assigned the status of Recognised Agency by Education New Zealand. Choose New Zealand team is dedicated to providing outstanding services to students and clients from all around the world. 2018 has been a great year for our brand and being recognised by the New Zealand government agency is another great achievement. We are looking forward to supporting more people to fulfil their dreams in New Zealand, the world' best destination. 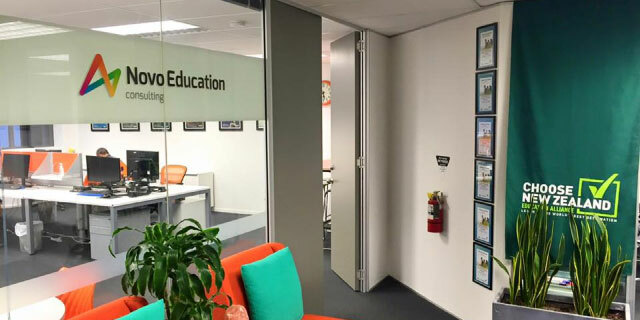 "At Education New Zealand we recognise the quality service and assistance this agency provides to those who want to study in New Zealand and the contribution they make to a positive student experience." Find us on the Recognised Agency page on Study in New Zealand website (Education New Zealand). 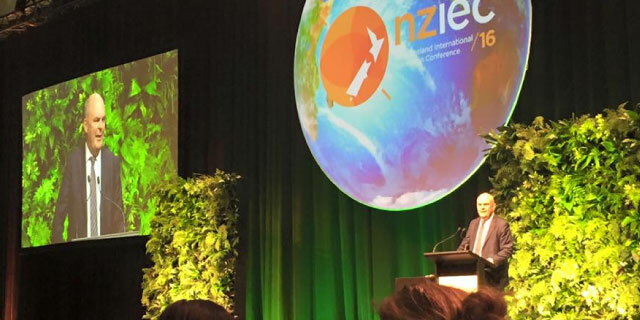 It was great to be part of the New Zealand International Education Conference and big thanks to Education New Zealand for organising such a fantastic event. So much learning and inspiration. We are so proud of that New Zealand is and will continually be a thriving and globally connected nation through world-class international education. Find out more about the conference here. We are very proud and excited to let you know that Novo Education Consulting has been nominated for the 2018 ST Star New Agency Award. Thank you so much for all your support in the last four years, especially to those partners who voted for us. The news of our nomination took us by surprise. ST Star Awards are peer-voted awards, first held in 2006, and reward quality across twenty-five categories covering different sectors in the international education industry. We are very honoured to know we are one of the top five voted agencies by the education providers in the world, and the only one from New Zealand and Australia nominated for this award in the last eleven years. We are very proud of this considering we only serve New Zealand institutions, while other overseas agencies connect to many institutions from all around the world. You can find our nomination information here. The winner will be announced during the awards gala held on the 1st September in London. We hope there will be more good news waiting for us. We see this award as a recognition of our achievements in the past, and encouragement for delivering even better services to New Zealand institutions, overseas partners, international students and clients, and their families. 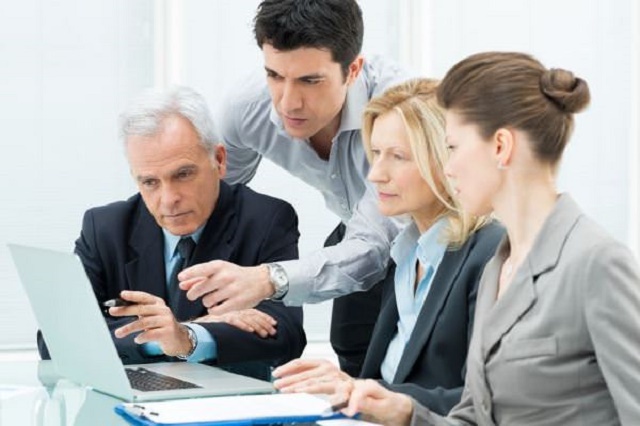 We understand working alone won’t take us anywhere and we wish to work more closely with all our partners. In the end, we are better together. Happy Chinese New Year, year of the Dog! May you have a wonderful day! 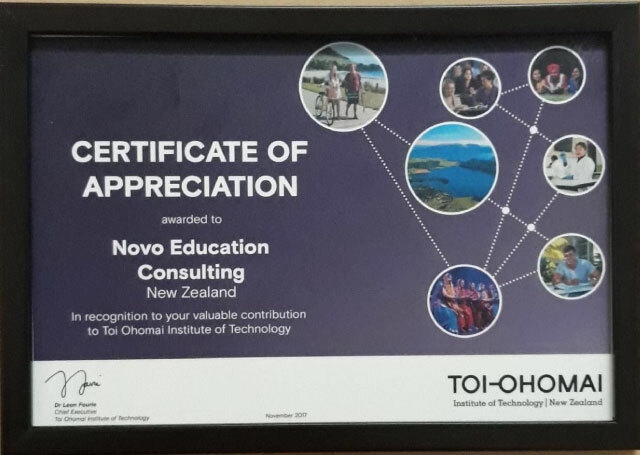 Toi-Ohomai Institute of Technology awarded Novo Education Consulting (Choose New Zealand) the Certificate of Appreciation in recognition of our contribution. Tilak Raj from our partner Fluent Academy received the certificate on behalf of Novo Education in Chandigarh. We will continuously work closely with different institutes to service more students from the world! As the business grows, our team is expanding and changing. Firstly, we congratulate Caitlin Penty on completing her Graduate Diploma in New Zealand Immigration Advice to become our third Licensed Immigration Adviser. Wendy Sakkhajornkai, our former Office Manager, has now relocated to Thailand, where she acts as our Regional Marketing Manager and is busy developing marketing projects in Thailand. We also welcome our new team member Lyka Agpalo, who has previously worked for Immigration New Zealand. Lyka is now working as the Immigration Coordinator for the Migration Service team. 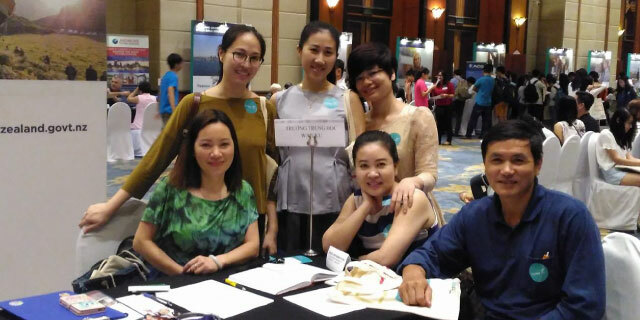 For perhaps the first time in history, one of our member schools held their “Parents Meet and Greet” in China. 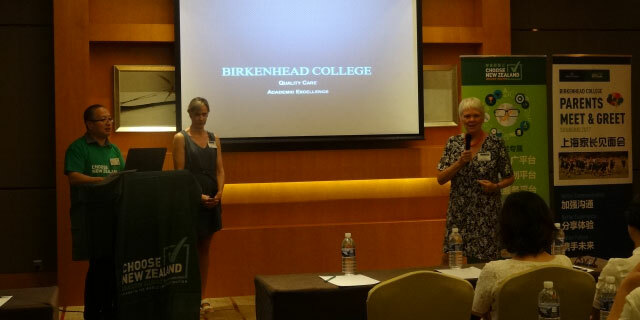 On the 27th of June, Birkenhead College representatives Louise Plummer (Deputy Principal and Director of International Students) and Sally Baker (International Student Manager) joined our Operations Director for Greater China, David Gao, to meet with more than 30 parents of current and future Choose New Zealand students and overseas agents in Shanghai. During the seminar, Louise and Sally introduced Birkenhead College and the various academic, sporting and cultural experiences they offer, and David explained the New Zealand education system and the role of Choose New Zealand Student Services. Two current students also shared their experience as international students in New Zealand. Louise greatly appreciates what Novo Education and its Choose New Zealand Education Alliance has done to unite students, parents, agents and schools. In her experience dealing with educational partners, Louise has never encountered such a professional team with such a strong focus on student welfare. There were many questions asked in the Q&A session and we received extremely positive feedback from all attendees. As an organisation that promotes New Zealand education and cares for the welfare of international students, we have the advantage of an international team from a wide range of countries. For the Asian market, Vivian and her service team provide our Choose New Zealand clients with the “Guardianship Service”, the “Student Settlement Service”, and the “Family Settlement Service”. Through our efforts, Choose New Zealand has become a central link which works closely with students’ own families, students’ host families, students’ schools and students’ overseas agents. We help each student to complete a personalised study plan and achieve learning objectives by means of regular academic tutorials and individual student assistance. 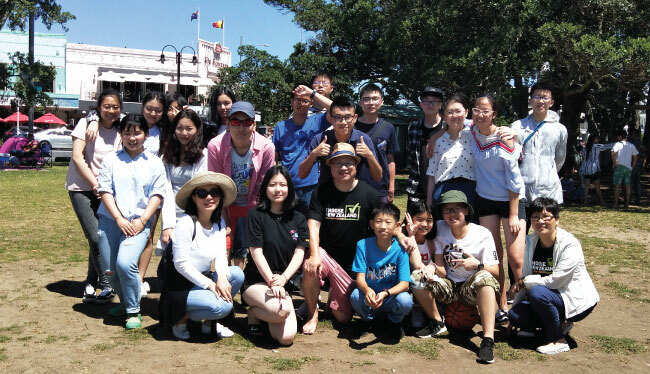 From time to time during weekends and student holidays, our Love New Zealand Student Club organises various fun activities, so that students can experience many facets of New Zealand life. We also continue to expand the number of services we offer and have strong professional links with experts in the fields of education, career development, health, and counselling to assist with the development of each student and maximise their performance. Click here to download our service brochure. 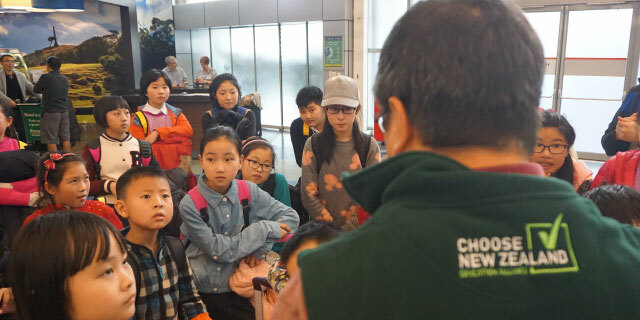 David Gao, our Operations Director of China, had gone to his first trip to China on 15 March and is spending one and half month travelling in different cities to promote Choose New Zealand Education Alliance and our member schools. 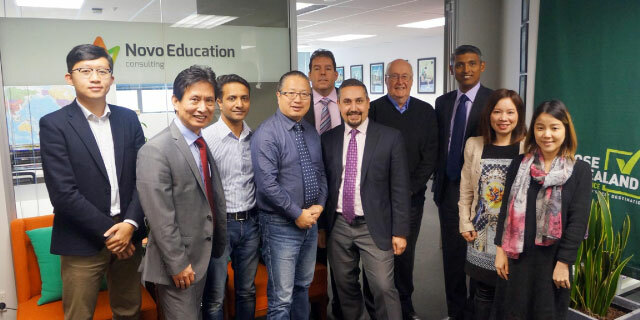 He will attend five Education New Zealand Agent Seminars in Shanghai, Beijing, Jinan, Guangzhou, and Hong Kong. He will also visit many other regions to have Choose New Zealand seminars and workshops to meet more students and parents. We are looking forward to hearing more good news from him and updating you. Holly, our Marketing Manager of Viet Nam, is now in Viet Nam visiting agents and student families. She will soon join in Education New Zealand Agent Seminars in Hanoi and Ho Chi Minh City. Bruce, our Chairman, has just returned from a marketing trip to the Philippines. He has hosted many seminars and workshops for potential students to introduce our member institutions and their programmes. It always makes us so proud to see our students achieving their dreams through the effort of themselves, their schools, and us. For this summer intake, we had many high school and foundation year graduates who are starting their universities studies in the subjects they have dreamed. Very big congratulations to them and we wish them the best for their future. After Bruce became our first Licensed Immigration Adviser (LIA) last year, we have been helping many students and clients with their visa applications and issues. Now we have two LIAs and the third one is on her way to be licenced. By February 2017 we have helped to lodge in total 237 visa applications and the overall success rate is 83%. Like everyone, we have a lot of problems with getting approval for Student Visas from India early last year, but since putting new processes into place in October, we have had almost 100% success. That total includes Student Visas, Visit Visas, Work Visas and many Section 61 cases, which is helping people who are in New Zealand 'unlawfully' to get back onto a lawful visa. We believe by having the professional LIA services, we can better represent New Zealand institutions and provide the complete services to any student or client lawfully and ethically. 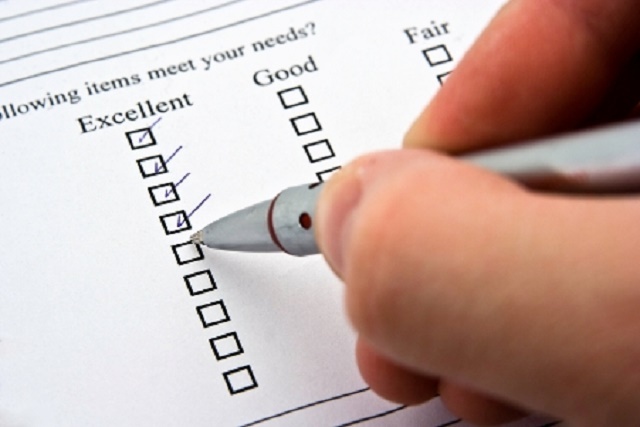 We have shared many recommendations from our clients in the past. 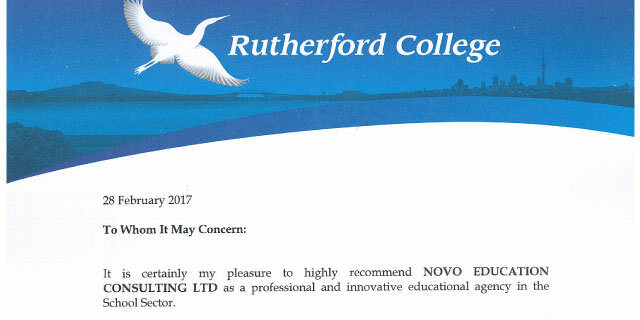 Recently, we received another reference letter from Miriam of Rutherford College. We have been working with Miriam and her school in the past year and in her very kind letter she shares her very positive comments on our professional work with her school, students, parents and agents. She “highly recommends” us “as a professional and innovative educational agency in the School Sector”. Thanks Miriam! In the past a few months our representatives have visited and had meetings with many institutions. David and Frank attended the Study in Wellington seminar in Wellington. They had some great meetings with many outstanding institutions. We are very confident that our students would have awesome experience in our “world's coolest capital city”. David also visited institutions in Nelson-Marlborough region with Education Nelson-Marlborough. We are very happy to welcome Nayland College, Marlborough Boys' College, and Marlborough Girl' College signing up Choose New Zealand membership and choosing to be represented in the following overseas marketing trips. We have reviewed our Choose New Zealand Education Alliance membership packages and decided to keep the most items the same, especially the pricing. So, all our old or new members can enjoy the same high-quality services with the same price as before. If you are not ready to commit for a whole year Premier Membership in the selected markets, you can also choose to let us represent you in the single market visit. For example, David Gao, our China marketing manager, is going to China in August after his current trip in China. For institutions who want to be represented in the ENZ Agent Workshops and more Choose New Zealand seminars can just pay $2,500 to keep your voices in the market and in front of all the key agents, parents, and students. The new announcement (on 11th October 2016) will make it a little more difficult for students to get Residence, but should not make a huge difference. 1. 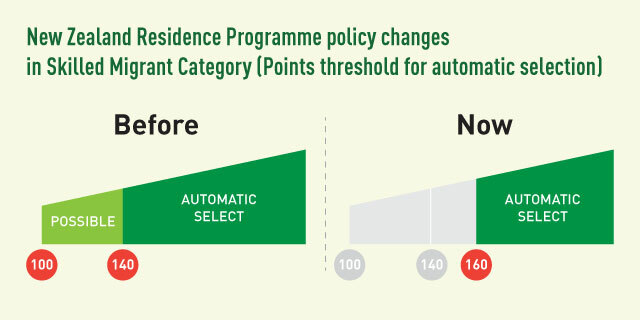 The ‘points” requirement for automatic selection has gone from 140 to 160 points (temporarily). So, a very good reason to get advice from the experts, and use our Licensed Immigration Adviser services. So, unless gaining a qualification at L8 (minimum) you will need an IELTS test result less than 2 years old at the time of applying for Residence. Our Regional Manager Holly was traveling in Vietnam with our member schools and Education New Zealand. Holly is promoting Choose New Zealand and our schools to more agents and students in workshops and fairs. She has reported back lots of good news and we believe we will achieve more in the future. Looking forward to welcoming more Vietnamese students. We planned for Bruce to become a Licensed Immigration Adviser so that we could help our students better, with anything from Student Visa applications, right through to Residency. However, we have received a couple of requests from schools for advice about Work Visas for potential off-shore teachers, and given the teaching crisis in the media (see NZ Herald article here) we expect this may grow. Novo has again successfully hosted several groups from China during their summer holidays. 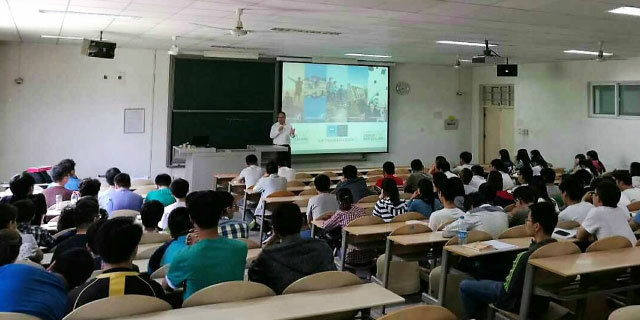 This year we have students and parents from Xi’an, Shenzhen, Zhejiang and several other cities and provinces. We helped them enrol and study in many Auckland local schools and organised lots of activities and trips. All Novo staff were really committed to provide them the best study and life experience in New Zealand. With all the positive feedback from our students and parents, we believe we have done a good job again. We hope to see more students coming to have a taste of the real New Zealand education with our short-term programmes. A delegation from Study Group visited our new office on 17 August. Study Group is a leading international education provider, who own and operate colleges, and also partner with more than 50 universities across the UK, Europe, North America, Australia and New Zealand. The meeting with Manoj Shetty (Executive Director of Global Sales), Alex Chevrolle (Sales Director), Sean Van Wyk (Head of Marketing, University Partnership), and Andrew Lee (Partner Sales Manager, New Zealand) was very productive. We believe the strengthening partnership with Study Group will let us deliver more valuable projects in multiple markets and help more students to achieve their dreams. We are very pleased to have moved our office recently – but only next door, from 3A to 3C in the same building. We can now better serve our clients in a bigger space. Come and check out our new place if you are in the vicinity. 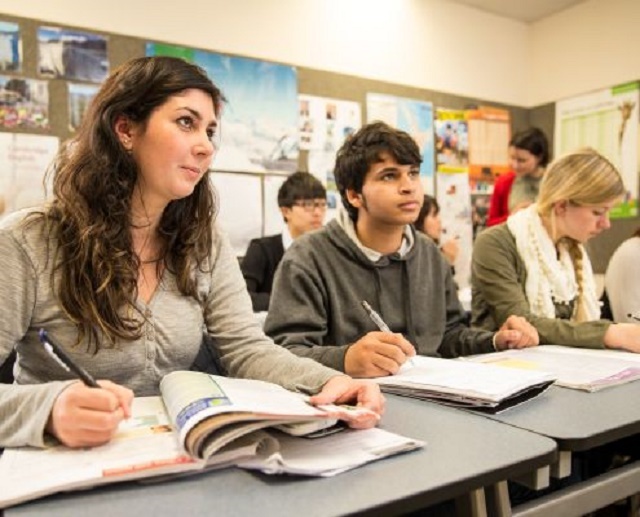 Grant McPherson, the chief executive of Education New Zealand, has written an article recently, talking about education industry and international students impacted New Zealand positively. 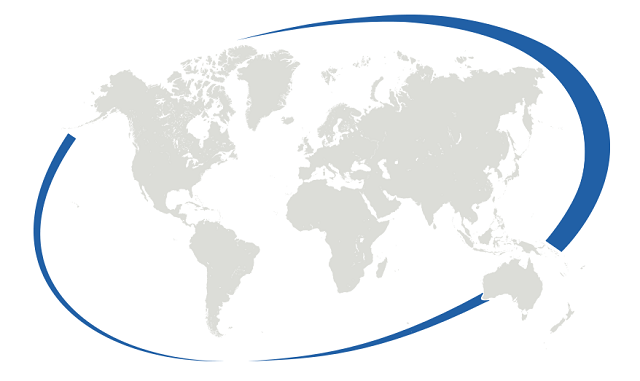 It breaks down to four topics which are educating kiwis for a global world, economic impact, skilled talent pool, and education exports. You can read the full article here. 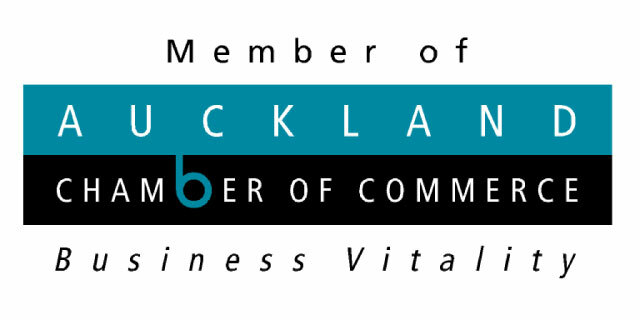 Novo Education has joined the Auckland Chamber of Commerce to enhance our connection with businesses in Auckland and improve our services we provide to our clients. With the resources and other support from The Chamber we will be able to better serve our students and help them to learn job seeking skills, and connect to potential employers. We are very much looking forward to working further with The Chamber. Delegates from Novo Education attended the EPIC (Ethnic People in Commence) Conference 2016. The theme of the 2016 conference was Innovation, Diversity and Building Connections, with approximately 300 people of various ethnicities attending. Ethnic People in Commerce (EPIC) is organised by the Office of Ethnic Communities with private sector sponsorship to promote links between mainstream and ethnic business communities. Delegates heard from business leaders including Traci Houpapa, Sir George Fistonich and Wei Gao. 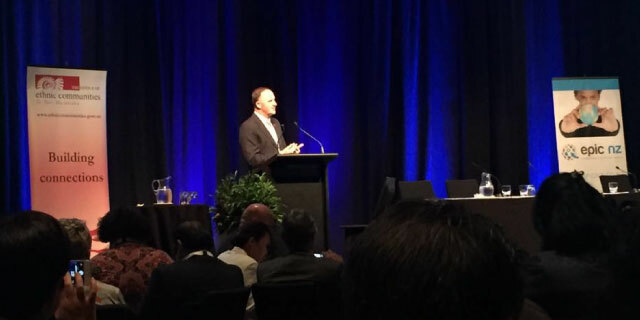 The Prime Minister, John Key, also spoke at the conference. New Zealand is one of the most ethnically diverse countries in the world. A quarter of all people who call New Zealand home were born overseas and the region is home to more than 200 different ethnicities. 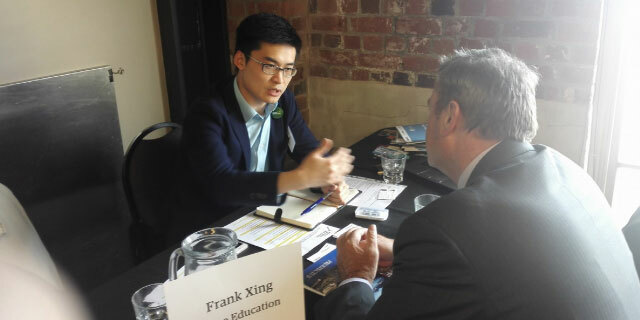 David Gao, our Operations Director of Greater China, is travelling between different cities in China to introduce New Zealand education and Choose New Zealand member schools to students, parents and agents. Here is one photo showing him in a university's lecture room speaking to many students. Well done David! Novo’s staff were invited to attend the International Day 2016 at Birkenhead College. 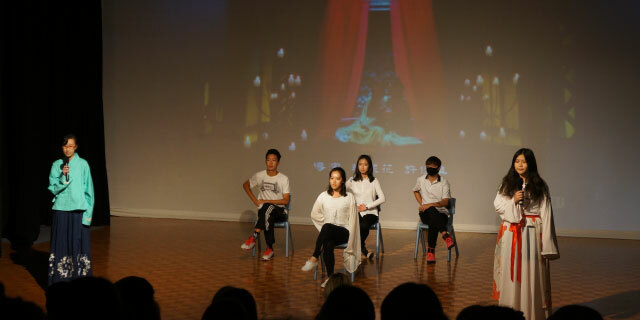 We are so glad to see four International students enrolled through Novo performing shows in their own culture. Big applause to Birkenhead College and all their students. 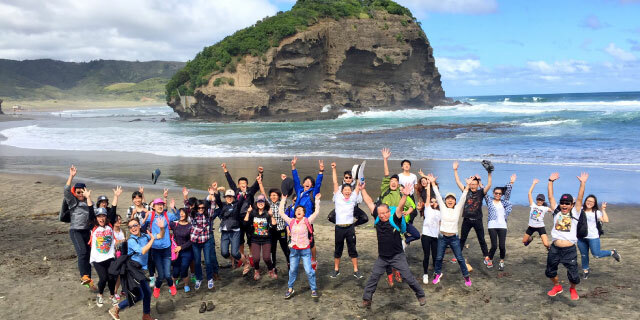 As the hub for all our students in New Zealand, Love New Zealand Student Club organised a hike during the Easter Holiday. 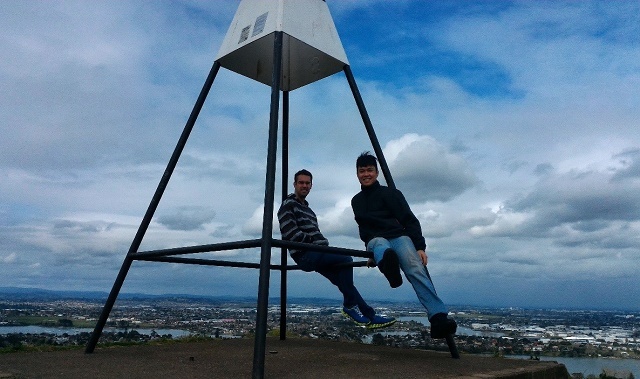 We went to the Te Henga Walkway in west Auckland. Thirty-five students and parents walked from the bush trail to the cliff top. The stunning views of Auckland's wild west coast amazed one and all. 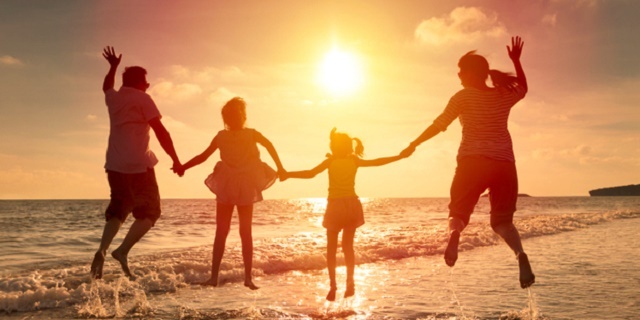 Everyone had a great time together with the beautiful bushes, trees, birds, beaches and water. These activities remind us why we choose and love New Zealand. On 10 March Minister Joyce launched the new Code of Practice which is able to better reflect the desired outcomes for students. We are glad to have been involved during the discussion process. We believe this new Code will help and guide our industry to remain the high standards of student support. 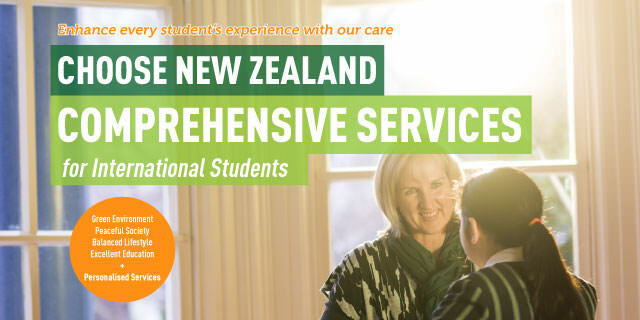 With the new International Student Contract Dispute Resolution Scheme (DRS) we also hope any international student who comes to New Zealand will have peace -of- mind and confident that they will get a great experience. NZQA is seeking feedback and contributions from the industry on Guidelines for the new Code. A recent article in the ICEF Monitor talks about how income growth in Sri Lanka continues to drive demand for study abroad (click here to read). Even with the high income and GDP growth, the supply-demand gap is still big, which is making more Sri Lankan students look for opportunities overseas. In New Zealand, Sri Lanka was the 13th on the 2015 Student Visa approval, contributing 549 students with a big growth from 301 in 2014. We think this number will continue to grow in the near future. Novo and Choose New Zealand are watching the trend closely and will be developing marketing strategies to help our clients to step into this emerging market. Everyone in this industry can see and sense we have had a very good year in 2015. A 13% increase of student visas takes the total number to 91,062. It is another big step towards the goal of doubling the number from 2013 to 2025. This article here can give you a good overall understanding of what we have achieved in the past year. Let’s work together to achieve an even bigger 2016! In a recent article Darryn Melrose, chief executive of Media Design School, talks about the value Indian students are adding to New Zealand. Read more. 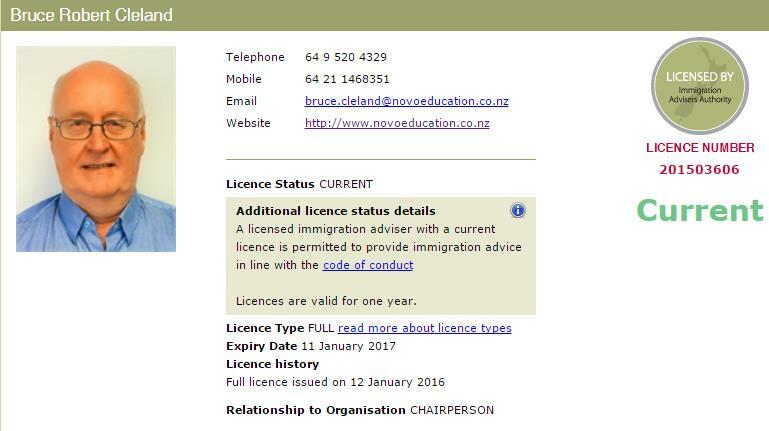 Congratulations to our Chairman Bruce Cleland for being approved as a Licensed Immigration Adviser. We can now do more to support our member schools, students, and partners. Please get in contact if you would like talk to us on any visa matter. As you will know, some years ago New Zealand had concerns about the bad visa advice being given to people by disreputable “advisers” and so now nobody can give any advice about any visa at all, unless they are Licensed, or in special cases, exempt. 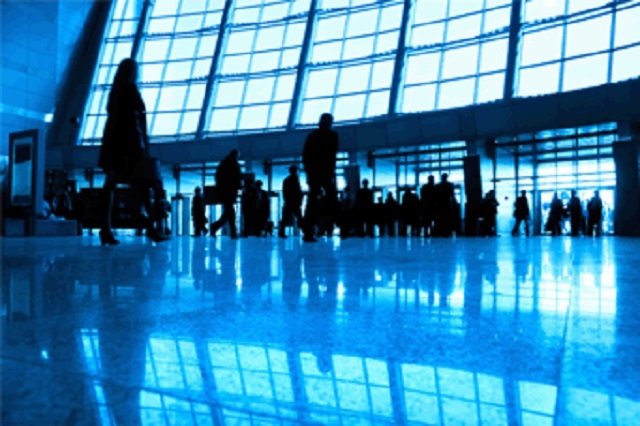 Off-shore agents are exempt, but only for advice on Student Visas. 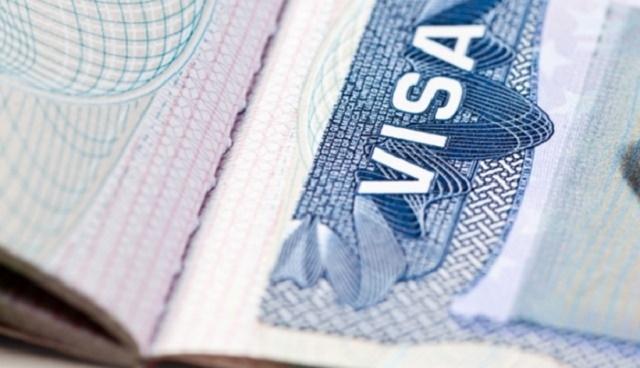 Strictly speaking, off-shore agents cannot give advice on Guardian Visas, Work Visas (for partners of students), Post Study Work Visas, or Residence. 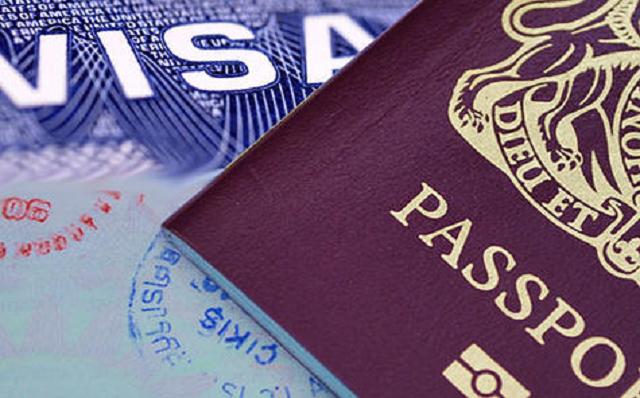 We are here to help – please get in contact if you would like to work with us on any visa matter. Because we now hold a license, we will be providing you with more materials during the year about Study, Work and Stay in New Zealand. As you read this, close to five million students are studying outside their home countries, more than double in 2000 and more than triple the number in 1990. Higher education is now open to the masses. Today, two million students are engaged in language travel, of whom roughly two-thirds study English. China and India are in the top 10 most powerful economies in the world and South Korea in the top 15. Now consider their contributions to international student mobility: China, India, and South Korea are the world’s leading sources of international students. 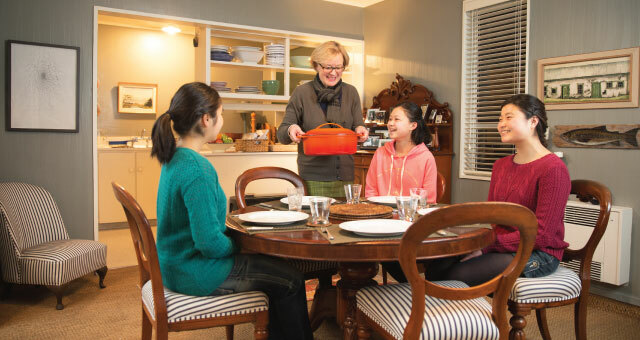 One of every six internationally mobile students is now from China, and together China, India, and South Korea account for more than a quarter of all students studying outside their home countries. 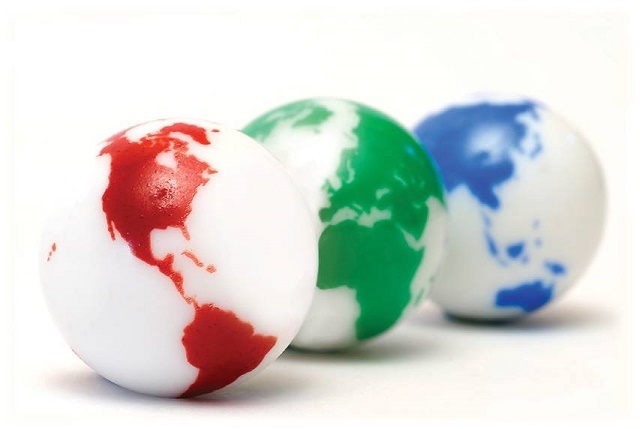 International educators are being encouraged to diversify their international enrolments. African countries are struggling to meet demand for higher education as their youth populations swell and unemployment abounds. According to UNESCO, just under 50,000 Nigerian students studied abroad in 2012. Latin American markets are also being viewed with great interest due to rising youth populations, in 2011, 20% of the total population of Latin America and the Caribbean was between the ages of 15 and 24 – that’s 106 million people. Trends will see Nigeria, Saudi Arabia, Pakistan, and Indonesia posting substantive increases in outbound post-graduates. Read the full article here. 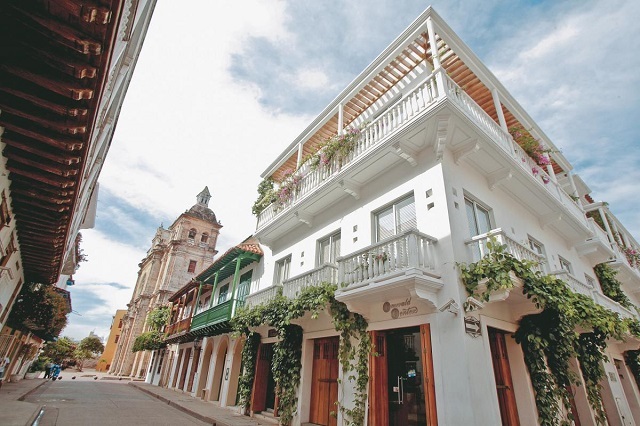 Government-backed initiatives to improve English proficiency in Latin America are paying off as the region improves its results in the latest English Proficiency Index from EF. Worldwide, however, Europe still claims the highest level of English as a second language. Worldwide English proficiency is becoming less tied with the UK or the US and is also less associated with the elite classes. Read more here. STEM (Science, Technology, Engineering and Mathematics) students are driven to study overseas by employability, access to better quality education and the promise of adventure. Their motivations to study internationally were looking at better education opportunities alongside analysis of each country’s policy on post-study work. Accessing job opportunities in the country where they are studying was the second biggest driver and looking for adventure was the third. Read the full article here. The most common type of study for which agents recruit is language courses (80%), with undergraduate next (77%) and post-graduate right behind with (74%). Next are MBA programmes and foundation courses (62% each). Over half of agents said they recruit for vocational programmes (51%), secondary/high school (54%), certificate/foundation courses (54%), pre-masters/post-graduate qualifying programmes (55%), and diplomas (57%). Agents think they will refer more students in the next 12 months than the previous 12, especially to the following countries: the US, Canada (79%), New Zealand (78%), Australia (77%), the UK (74%). New Zealand, meanwhile, had a jump this year, rising from 35% of agents rating it “very attractive” in 2014 to 45% this year. Overall, New Zealand was the sixth-most-attractive destination for 2015 (85% “very attractive” or “attractive”). Read full article here. 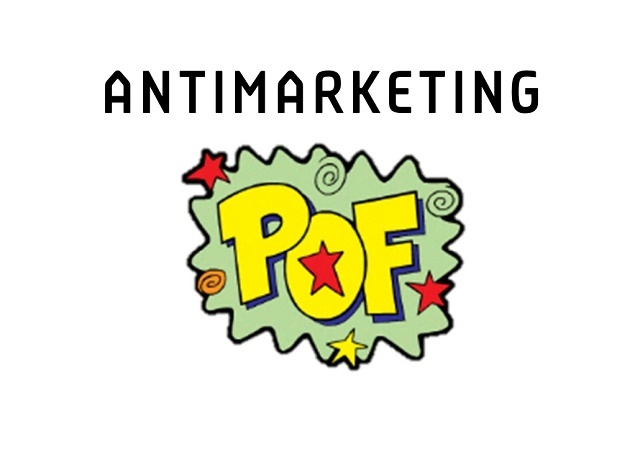 Even if those fresh eyes are yours, take a step back, and look at the homepage and other top-level landing pages. Don’t focus so much on what’s wrong; rather, think about the goals you have for your website. 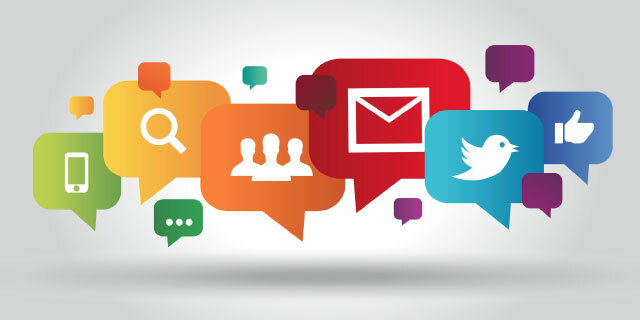 How does your website connect to your marketing and recruitment effort? What does it need to do for prospective students, current students, or any other key audiences you are trying to reach? Quickly and easily answers students’ most important questions. How can I talk to someone about whether I’d feel at home here? What can I study here? Can you show me proof this school is worth my investment? Can I see what other people have said about studying here – can I talk to them? Will studying here help me get the job I want? What do I need to do – and when – to have the best chance of getting accepted here? As we have noted previously, Forrester Research’s Dr. James McQuivey estimates that one minute of video has as much value as 1.8 million words. Another consideration is language: if a main priority market is China, it’s important to have a video delivered in Chinese and on a platform that Chinese viewers can reach (YouTube, for example, is still blocked in China). 3. How are you doing on mobile? We won’t spend much time talking about how important optimising a website for mobile viewing is, because everyone knows that students are increasingly using their mobile devices for everything. However, we will note that despite all the stats that vividly demonstrate this trend, there are many sites that are still not mobile-ready. It is a great thing to have a solid bunch of student and alumni testimonials, but even better if each testimonial serves a specific function. Each testimonial packs a punch so it’s better to spread them out over the pages of a site rather than plunking them all down in one spot. In short, it is now very difficult to reach a target audience on Facebook unless you pay for the message by sponsoring it (aka “boosting” it). The good news is, boosting Facebook posts allows you to experiment with messaging and audience, and over time one does end up with a good sense of what content resonates and which falls flat. Beyond boosting, there are other ways to stimulate engagement. Do you know all the tabs and functions you can add to your Facebook page? Not everyone does. And how about built-in calls-to-action? Our world is hyper-wired and it seems we are always present on one digital platform or another. But while virtual communication is certainly efficient – not to mention convenient and inexpensive – research shows that we cannot solely rely on it as a tool to communicate. Face-to-face meetings may require a greater investment in the short term, but they are powerful catalysts for establishing, deepening, and maintaining key relationships. 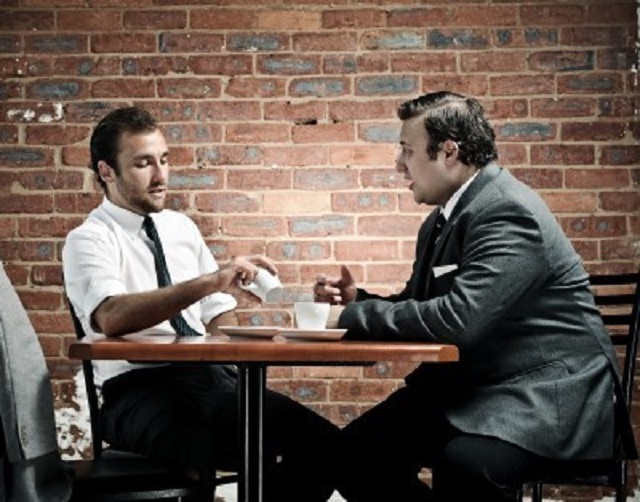 The relatively intense eye contact present in face-to-face meetings also helps participants to build trust and connection – crucial foundations for successful long-term relationships. Study abroad is a big decision and a significant investment, so students need to be sure they can trust the information given to them about schools. Recruiting international students similarly involves a complex set of decisions and processes and relies on strong working relationships between trusted partners, including educators and agents. Such trust and personal connection can be difficult to establish though virtual and/or digital means alone. Which is exactly what the team understand and do here at Novo Education. Read article here. Bangladesh is one of the world’s most densely populated countries. Currently the eighth-largest state by population, Bangladesh is home to more than 160 million people. It is bordered by India to the west, north, and east, and Burma to the southeast. Most Bangladeshis are Muslims and the official language is Bengali. The unofficial second language, however, is English, and it is widely used in higher education as the language of instruction at both private and public institutions. The Bangladeshi economy has begun to transform itself over the past decade, growing at the rate of 5% on average. 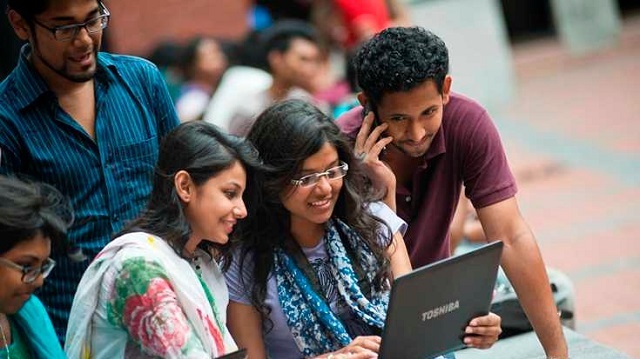 34% of Bangladeshis are aged 15 or younger and it is forecast there is going to be a huge increase on local and international educational opportunities for this youth. Orginal article here. The ICEF published an update on Ukraine focused on an ambitious package of higher education reforms as well as how the country’s education system is operating under the current political and military crisis. To see another perspective the article has video excerpts from two recent interviews with agents that have a long experience in the market. In summary the two videos discuss the onset of the undeclared military conflict with Russia in early 2014 which resulted in the study abroad market in Ukraine to shift abruptly. In particular, students began to demonstrate a distinct preference for more affordable destinations. They also speak about the focus on the youth market, and on summer programmes in particular. Parents are more focused on study abroad programs because the situation in the Ukraine is very unstable and they are not sure what will be tomorrow. It was noted an increase in inquiries for some destinations, such as Canada, that offer stronger prospects for post-study work or even migration after graduation. 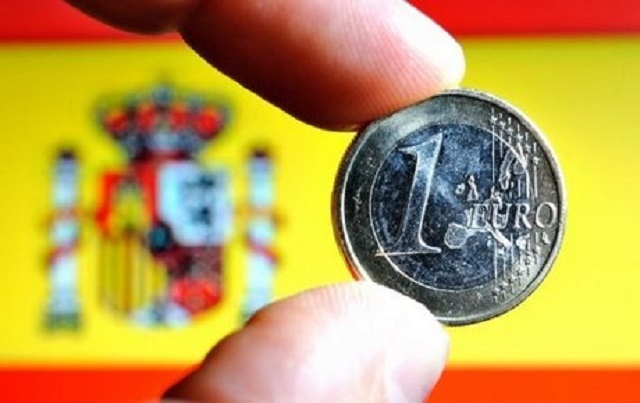 The Pie News published an article relating the optimism and air of positivity that is now prevalent in Spain. Things seem to be going well and international education is picking up with this. Watch this Spanish space. The Russian government is moving to close a larger number of (mostly private) institutions that are seen as low-quality or underperforming providers. The number of closures for 2015 has been projected to affect as many as 100 institutions. 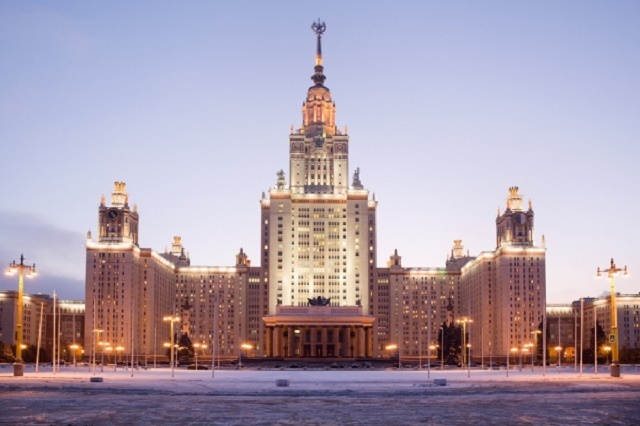 At the same time, Russia is continuing with a scheme known as the “5/100 initiative“, a multi-year project, initiated in 2012, to boost the global competitiveness of Russian universities. The plan calls for at least five Russian universities to be ranked among the top 100 institutions in the world by 2020. Read the full article. The Pie News recorded a student quoting that the international experience is a “transformative” one that “too few Canadian students” have. Studying and working abroad transforms Canadian students into global citizens, helping them develop inter-cultural awareness, adaptability and problem-solving skills. The most popular study destinations for Canadians are currently the UK, Australia, France, Germany and the US. Let’s get New Zealand up there on their list. Read original article here. 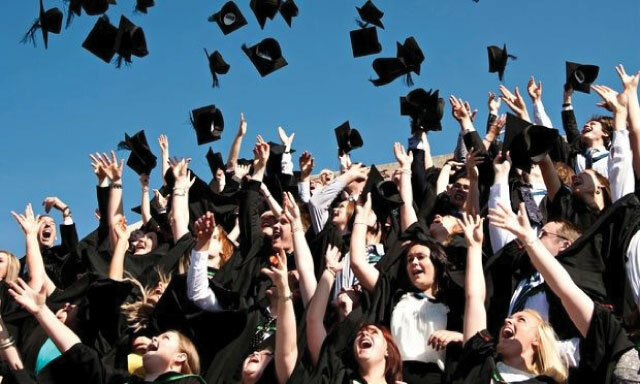 In the 2015/16 QS World University Rankings survey, “Getting a job when I graduate” was chosen by 90% of students as a key consideration in their decision-making for higher-education. Students are looking beyond current university rankings when selecting a school, it is employability and employment outcomes that are primary considerations. 50% of responding students chose “employer reputation” as “most important” and 47% chose “employment rate.” In comparison, 28% chose research and 16% chose academic reputation. Similarly, respondents said the top benefit of graduating from an internationally recognised institution was better employment prospects– ahead of better quality of education. Read the ICEF article. 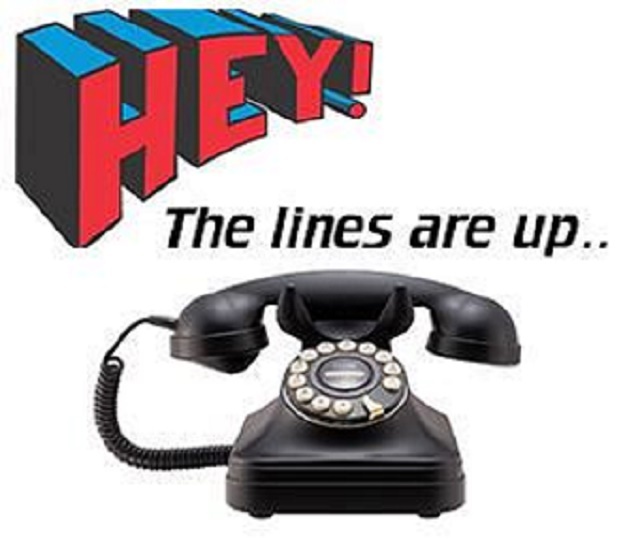 Our phones are working again, YAY! Thank Friday for awesome technicians. You can call our office +64 9520 4329 and email us anytime again. 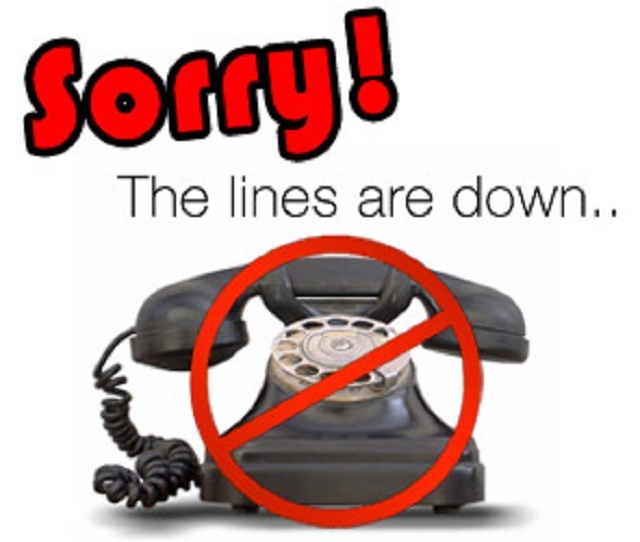 We are experiencing some technical difficulties.If anyone needs to contact us urgently please phone 022 639 2095. Sorry for any inconvenience and we will let you know as soon as everything is up and running again soon. 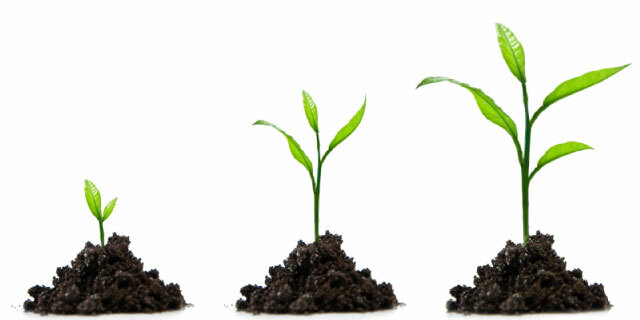 The ICEF published an article about growth hacking which is a new approach to marketing. It combines strategy with technical know-how to efficiently reach prospective customers. This approach emphasises growth and innovation and relies mainly on an expanding range of online marketing tools and channels. Growth hackers are a hybrid of marketer and coder, one who looks at the traditional question of ‘How do I get customers for my product?’ They use direct marketing, with an emphasis on quantitative measurement. 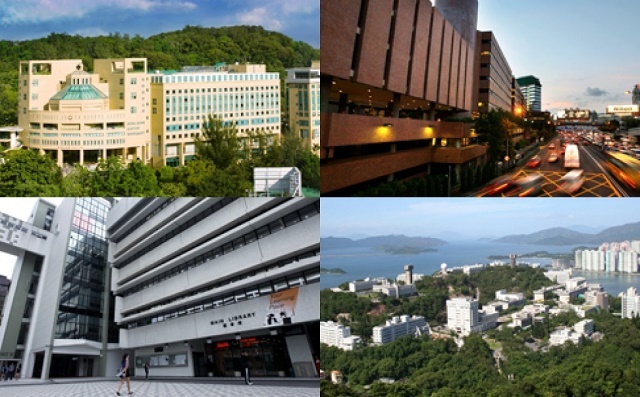 A recent survey of Japanese university presidents found that 26 of 60 national universities with social science and humanities programmes intend to close those departments during the 2016 academic year or after. 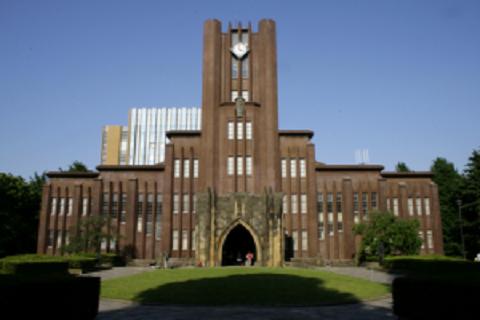 The closures are a direct response to an extraordinary request from the Japanese government that the universities take “active steps to abolish [social science and humanities departments] or to convert them to serve areas that better meet society’s needs.” Full article here. 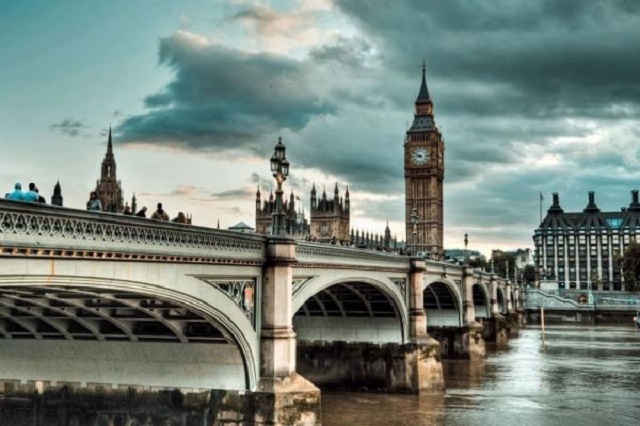 The Pie News published an article recently about the UK’s traditional advantages as a study destination which have made it so popular among international students about to be undermined by stringent government policy. Britain has become much stricter on visas and has limited post-study work options. The global education solutions company’s annual student survey asked more than 45,500 students from 210 countries about their priorities in higher education and what they look for in a study destination. The most significant factors in a student’s decision to study in one country over another was the international recognition of qualifications and the quality of education compared to the student’s home country. The ability to work while studying and post-study work options were also named as important factors. Employability considerations topped this list, with 90% ranking ‘improving my future earning potential’ and ‘getting a job when I graduate’ as pressing concerns. Read the full article here. Education New Zealand completed its Alumni Voices project in July, which included 40 written and 10 filmed interviews with high-profile New Zealand alumni from across South East Asia, and since their awe-inspiring stories have been shared across the region. Expanding the Prime Minister’s Scholarships to Asia to include Prime Minister’s Scholarships to Latin America. Using the International Education Growth Fund to support the growth of revenue from education and training delivered offshore. Expanding the Education New Zealand Regional Partnership Programme to accelerate the growth of international education regionally. Leveraging international alumni linkages to lift the skills of our international workforce in the public and private sector. 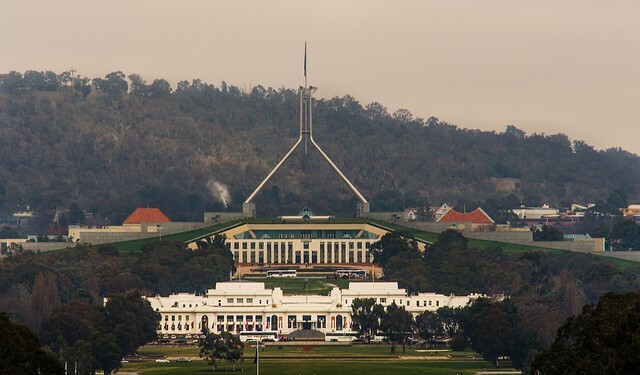 Reviewing ENZ to ensure it continues to be fit for purpose and is well placed to achieve the international education industry’s medium-term goals. Air New Zealand and Education New Zealand organised a familiarisation tour with 10 teachers from private high schools across Japan. Japanese teachers were the focus for this familiarisation visit in recognition of the fact that they are among the key influencers, along with alumni and agents, for Japanese students and their families when considering international study locations. 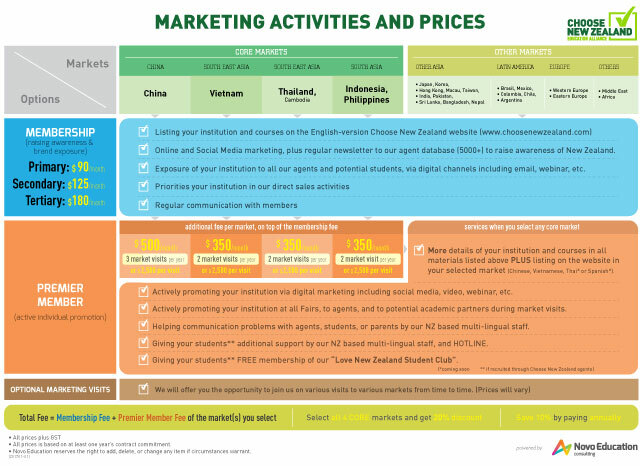 The word-of-mouth promotion of New Zealand as an education destination that comes from these visits is highly effective. See the full article here. The next round of the fund is now open. Applications must be in by midnight on 12 October 2015. The fund is open to all New Zealand schools that are Code of Practice signatories. Grants of approximately $2,500 per school will be awarded to successful schools to establish new sister school relationships, or to strengthen existing relationships, with a focus on sister cities/provinces. Read all about Eric's first week. We would like to extend a very big warm welcome to Eric our Malyasian Intern, you can read his updates here and on Facebook. Read more to read his first post "My Journey to New Zealand: Day One"
Pakistan’s Higher Education Committee (HEC) has announced plans to open five new universities and 36 sub-campuses over the next three years. With approximately one third of Pakistanis yet to reach the age of 30, increased investment in higher education marks a significant step toward a more developed economy and a competitively skilled workforce. Already an economically stratified country, Pakistan suffers extreme rural poverty with some areas positioned amongst the poorest in the world according to the World Bank. In extending university access to Pakistan’s rural districts, it is hoped that more broadly based growth will be encouraged through education, culture, and innovation. 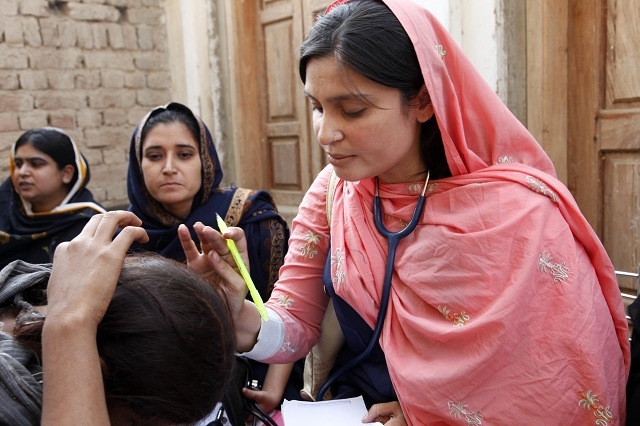 Pakistan’s women stand particularly to gain with the promotion of women’s educational achievement and elimination of gender disparity identified as national priority areas. Pakistan’s Karachi Stock Index (the KSE-100) is ranked amongst the top 10 international markets based on performance over the past year. Read more here. The Brazilian government has in recent years been working to boost higher education participation, increasing demand for overseas study, and extending the reach of STEM learning (Science, Technology, Engineering, Maths), all as part of wide-ranging development goals. 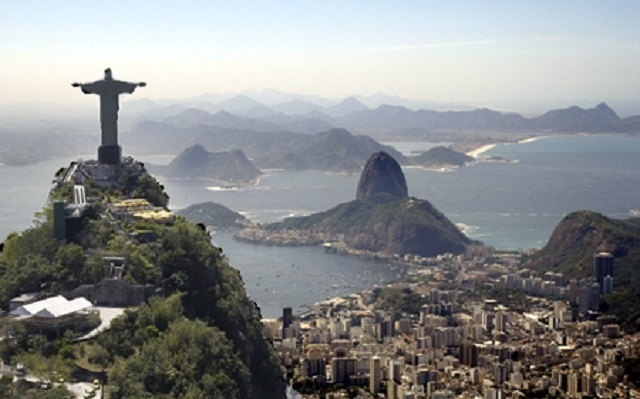 The number of Brazilians studying abroad has increased by as much as 600% over the past decade. 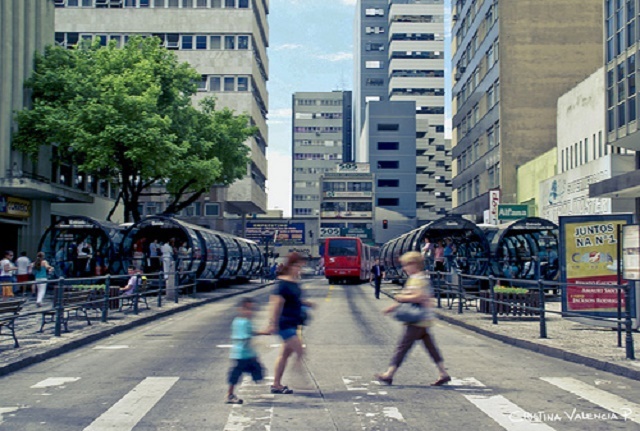 Brazil uses English extensively in business and advertising. 82% of respondents who have not learned English say they would do so in order to improve their employment prospects. Rising concerns with respect to the affordability of study abroad, appear to be opening new opportunities for foreign providers to deliver programmes within the country as well. Read the original article here. 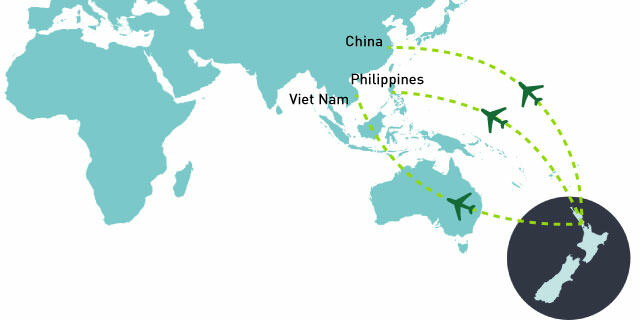 After Ho Chi Minh city, Hanoi is the second largest hub for outbound students in Vietnam, a growing student source market. 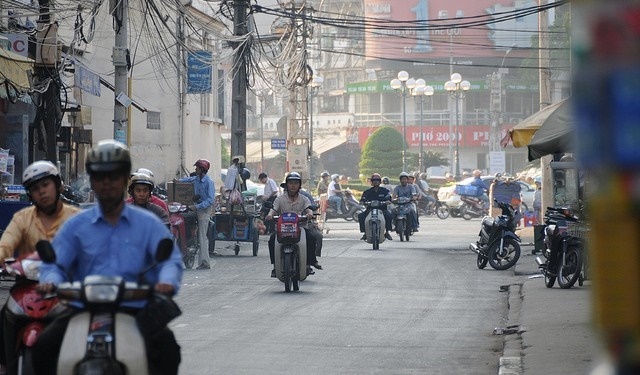 The Department of Education and Training in Hanoi has released a list of 200 agencies that have undergone the government’s licensing programme, which includes passing a test. There are still 3,300 agents operating erroneously.The government wants to shut them down but they can’t because they don’t have enough resources, Kenneth Cooper, co-founder of Access American Education says. Vietnam is increasingly becoming a fruitful market for student recruiters keen to diversify campus nationalities. The country has seen demand boom in the past decade, it’s ultimately the responsibility of institutions that work with agents to screen them properly, stay in touch with them and cultivate the relationship so they know what’s going on. Read more here. According to an article in The Pie News, Brazil, Vietnam, Indonesia and Nigeria are the top four emerging markets to watch over the next three years. 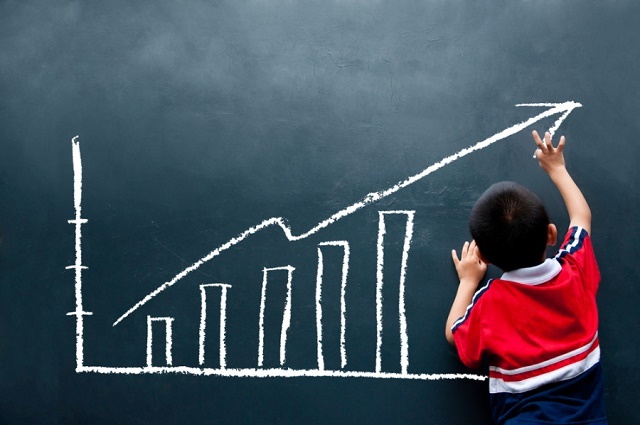 A study by World Education Services, combined quantative and qualitative survey data to identify markets expected to see strong growth in the coming years. For Brazil, the increase was as high as 51%, while Vietnam, Nigeria and Indonesia saw respective increases of 26%, 21% and 14%. An effective social media strategy is “key” for institutions with Facebook users expected to reach almost 100 million by 2018. 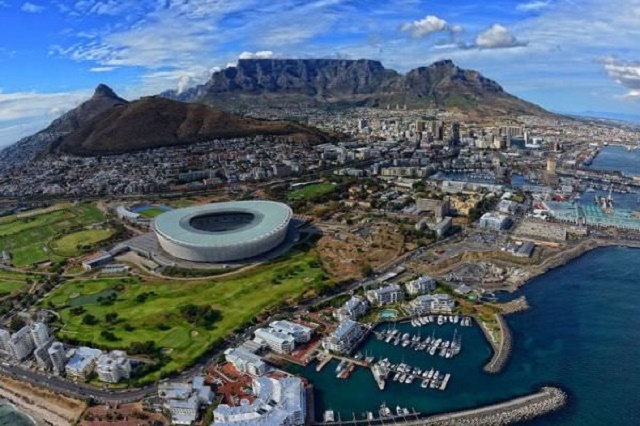 An article in the ICEF related that South Africa has emerged as an increasingly popular regional and global destination for students in recent years, due to its appeal as a “stepping stone towards global mobility”. However, due to a May 2014 amendment to the Immigration Act, study visas are no longer being issued for students enrolled at English language schools in the country. The early indications are that the policy change has had a profound impact on enrolment already in 2015 and that student numbers are down sharply this year. Thailand has seen a significant expansion of its higher education system over the past decades and a majority of secondary school graduates. University qualifications have become so common that they are now necessary. Along with its competitive domestic job market, Thailand’s political situation is another key factor in shaping demand for study abroad. The latest estimates have it that about 27,000 Thai students study abroad each year. Read more here. Higher education in China has undergone a dramatic expansion over the last two decades. There were reliably more students chasing university admission than there were seats available. Under China’s domestic university recruitment system, quotas for enrolment are determined by central authorities. Do well on the entrance exams and the dream of attending a top university is within reach. But if you miss the mark on exam day, your chances are slim. You can read more from ICEF here. In an article by The Pie News, education agents have spoken out against Australia’s Streamlined Visa Processing system that was introduced in 2012. They have been saying it is neither faster nor more dependable for visa issuance. The system will be scrapped starting next year and agents have said that the system has created a have and have not culture in Australian education and has failed to prevent illegal course-hopping which has resulted in slower admission and visa processes. Read more about Apply on Behalf effective as of mid-June this year, NZ-based agents and providers can help students fill out and upload immigration forms, the law still stands that unlicensed advice is not permitted to be given. Read more in detail here. A recent article in the ICEF revealed data from Education New Zealand showing a strong 2014 for the country’s international education sector. International student numbers were up 13%. India and China accounted for the bulk of 2014’s enrolment growth but there has been significant growth in emerging markets such as Colombia, France, Chile and the Philippines. Growth for the year was focused in Institutes of Technology and Polytechnics (ITP) (up 15%) and Private Training Establishments (PTE) sectors (up 37%). All other sectors grew 3-5%. Student visas issued and the total number of new student visas issued increased by 10%. The ICEF published an article about Nigeria, which has a rapidly expanding middle class, and total tertiary enrolment projected to double by 2024. This means that the country remains a key emerging market for international education. 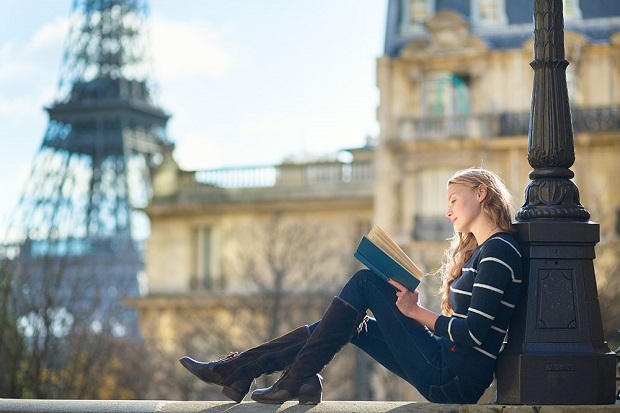 UNESCO reports more than 50,000 studied abroad in 2012. Most of these students choose the UK and the US. Workhere published an informative article about people wanting to become a New Zealand resident under the Skilled Migrant Category. They need 100 points to even be considered. Everything from age to work experience to qualifications to having close family already here counts. From November, the number of points given to skilled migrants with a job offer outside Auckland will increase from 10 to 30. They would need to commit to that region for at least 12 months. But that's still no guarantee, Immigration New Zealand has the final say, based on an assessment which includes such things as your ability to settle in New Zealand. The offer is currently extended to about 10,000 people. Recently in the NZ Herald, an article was publish releasing that New Zealand has the third highest material living standard in the world for households with a teenager. The new measure of wellbeing developed in New Zealand uses data from almost 800,000 households over 40 countries. The index is based on ownership of possessions - ranging from books, dishwashers, cars, computers and cellphones - to internet access and housing configuration, such as the number of bedrooms and bathrooms in a home. New Zealand ranked ahead of Australia and all Scandinavian countries. Vietnam is increasingly recognised as an important emerging market for international education. The Ministry of Education and Training reports that 125,000 Vietnamese students studied abroad in 2013. See the original article here with a video interview that highlights some of the practical challenges for Vietnamese students planning to study abroad, particularly with respect to visa requirements. Recently The Pie News had an article regarding McGraw-Hill Education and how they are expanding their digital learning with bussu, the largest social network for language learning, now with over 55 million users. bussu will provide a base of world-wide consumers while McGraw-Hill Eduation will help the language learning platform develop. 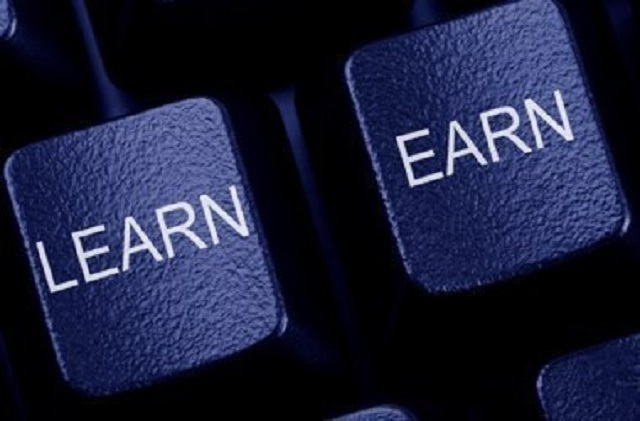 The platform provides both free and paid-for courses in 12 different languages and gives learners the opportunity to directly interact with native speakers. A 10-year strategy for international education growth in the Canterbury region has launched a Leadership Accord, signed by nine Foundation Partners. The Accord represents a commitment to grow the social, cultural and economic value of international education in the region over the next 10 years. The strategy development process was funded by Education New Zealand and facilitated by Canterbury Development Corporation, the Christchurch City Council economic development agency. 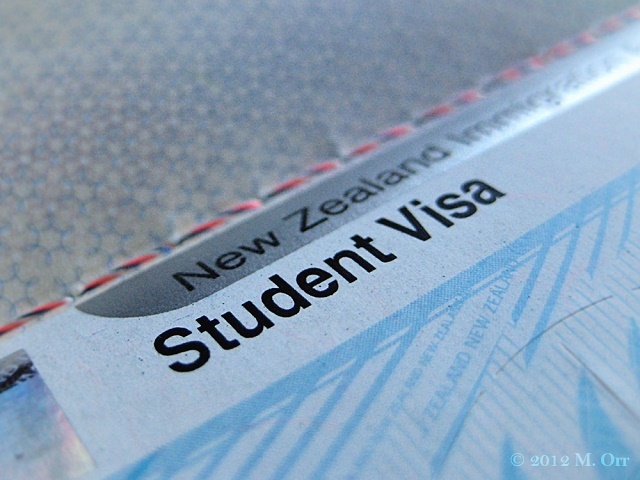 The June Student Visa Dashboard has been released by Education New Zealand, we have pulled some figures and you can see the full breakdown here. The year-to-date total student visas (TSV) are up 10% and first time student visas (FSV) up 10%. Returning student visas were also up 7%. The main countries were China, India, the Philippines, USA and Brazil. ITP up 50%, universities up 9%, and PTE up 4% sectors have experienced the strongest growth. How can New Zealand Education step-in? The British government confirmed new rules that will eliminate the opportunity for further education students from outside the European Union to work part-time during their studies. A recent article in Pie News about global rankings and rankings actually meant for students. The surveyed group covered 19 countries. Students felt that rankings do not reflect quality but rather employability, and use the rankings to narrow down their search at the early stages of their decision making process. They suggested that institutions should have banners of their most prominent alumni and clearer methodology across how the rankings are given and what they mean. 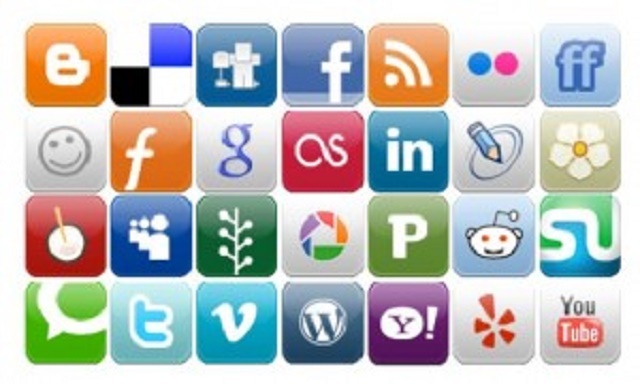 Last year Education New Zealand took a new global approach towards social media activity. One year down the track, they’re seeing some great results! The size of their social community has grown by 480 percent from 120,000 to 576,000 across; Twitter, Facebook, Instagram, Weibo and WeChat. They currently have the largest national Facebook community, with 509,460 followers, outdoing other popular international education destinations such as Canada (405,000), USA (126,000), UK (417,000) and Australia (200,000). Their audience engagement on Facebook has risen to 21 percent – surpassing the industry standard of best practice for engagement of 7 percent. These results now place ENZ as the market leader in international education within the social media space. They operated without adequate learner protection arrangements, and, in particular, without any provisions to protect students financially in the event of school closure. 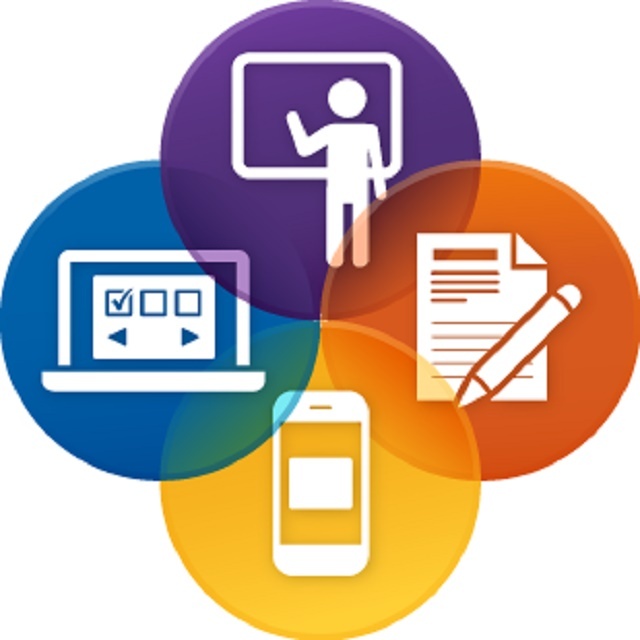 Online learning requires new pedagogy and social strategies in order to attract and engage students. Joseph Noble states that ‘gamification’ is key to engaging students, using mobile learning as a “tutor in your pocket” and that “using digital content needs to be as easy as falling out of bed.” Read the full article here. Insufficient and costly purpose-built student accommodation may be putting Australia at a competitive disadvantage. Concerns were raised by the Council of International Students of Australia about the quality and affordability of student accommodation for international students. Read more here. The recent article in Pie News wrote about the number of students studying at English-medium international schools globally reaching a record-level four million students last month, according to the International School Consultancy. 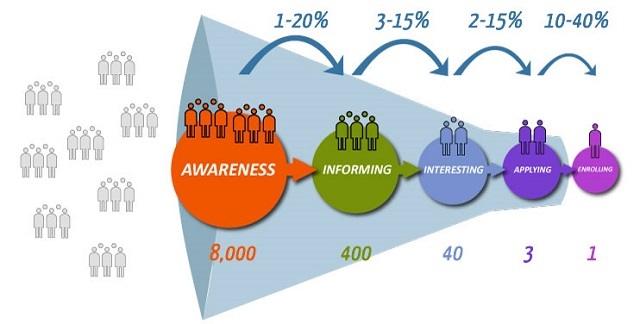 Heard of the Enrolment Funnel? We have. Embrace the nuance. There is not just one funnel, there are many. Go for engagement. Funnel communications strategies should be designed to encourage and strengthen prospect engagement with the institution. Use the data. Pretty self-explanatory. According to a survey by China Daily improving social status is the number one motivator for Chinese students to study abroad. 61% said they wanted to obtain a diploma from a foreign school to boost their social standing, while 47% said they wanted to study abroad because they thought it would improve their employability after graduation, 43% said they wanted to study abroad to receive a better education than they would at home. 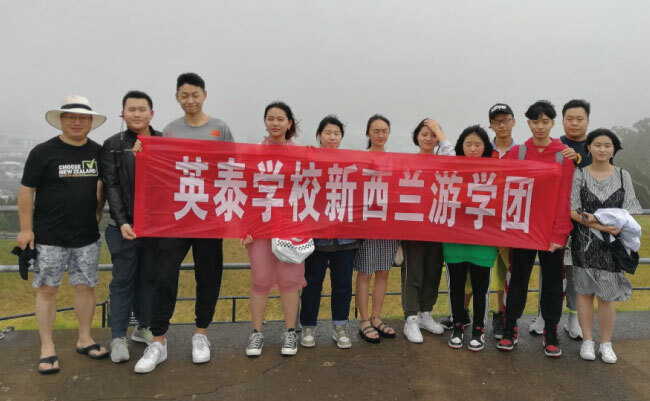 Other reasons students gave for wanting to study abroad included broadening their horizons, seeking independence and avoiding the pressure of a Chinese education. Read the full article here. A recent article in The Pie News was about the demand for English Language Teaching across Latin America. They interviewed specifically Mexico, Brazil, Argentina, Colombia, Chile, Peru and Ecuador. It wrote that governments view the language as a tool to access the global economy and employers prioritise English as a skill. The report found that a lack of quality teachers is the largest barrier, teachers aren’t trained to teach English as a second language and often don’t speak English themselves. 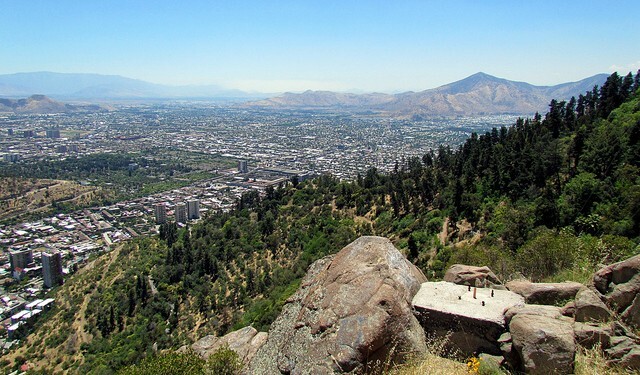 Chile was quoted saying their “major goal in the near future, apart from our education reform, is to focus on vocational training.” Apart from the above reasons listed the biggest common factor for learning English was employability. Read the full article here. Immigration New Zealand has produced a set of information flyers to explain how the new Apply on Behalf service will work. The service will allow third parties to lodge visa applications on behalf of students. Later this year, eVisas – passport-free and label-less visas – will be available to students from visa-waiver countries. Find out more here. 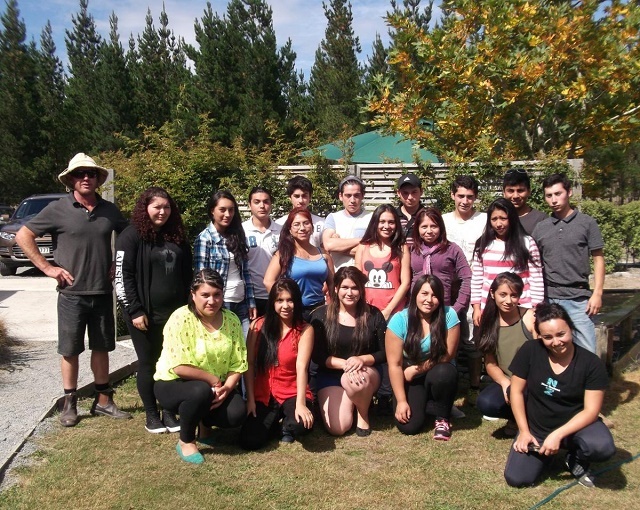 Thirty-two students from regional Chile are currently in New Zealand to learn more about New Zealand’s world-leading dairy and horticultural sector. 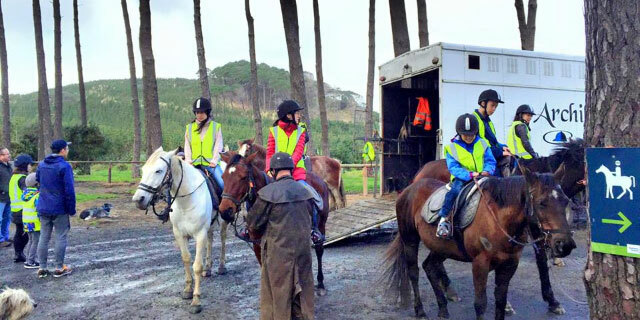 “The students enjoy visiting local farms, learning to ride motorbikes and quad bikes, and learning new fencing skills. The biggest difference between farms in Chile and here is the scale of farming. In spite of New Zealand being a much smaller country, our farms are much bigger in terms of land area, the number of cows milked and the use of technology to improve production.” Read more here. Consumers are smart and empowered. They want honest and useful information, and they want you to respect their intelligence. Everybody is selling something; be different. Be innovative and creative in order to draw the market to you. Be honest, even painfully honest.